GM Crops and the Rat Digestive Tract: Is GM Food Safe for Animals and Humans? The aim of this review is to examine the relationship between genetically modified (GM) crops and health, based on histopathological investigations of the digestive tract in rats. We reviewed published long-term feeding studies of crops containing one or more of three specific traits: herbicide tolerance via the EPSPS gene and insect resistance via cry1Ab or cry3Bb1 genes. These genes are commonly found in commercialised GM crops. Our search found 21 studies for nine (19%) out of the 47 crops approved for human and/or animal consumption. We could find no studies on the other 38 (81%) approved crops. Fourteen out of the 21 studies (67%) were general health assessments of the GM crop on rat health. Most of these studies (76%) were performed after the crop had been approved for human and/or animal consumption, with half of these being published at least nine years after approval. Our review also discovered an inconsistency in methodology and a lack of defined criteria for outcomes that would be considered toxicologically or pathologically significant. In addition, there was a lack of transparency in the methods and results, which made comparisons between the studies difficult. The evidence reviewed here demonstrates an incomplete picture regarding the toxicity (and safety) of GM products consumed by humans and animals. Therefore, each GM product should be assessed on merit, with appropriate studies performed to indicate the level of safety associated with them. Detailed guidelines should be developed which will allow for the generation of comparable and reproducible studies. This will establish a foundation for evidence-based guidelines, to better determine if GM food is safe for human and animal consumption. Have enough studies been conducted to adequately state that GM crops are safe for human and animal consumption? Genetically modified crops have been approved for human and animal consumption for nearly 20 years (Clive and Krattiger, 1996) yet the debate about their safety continues. Fifty-three crops are known to possess at least one of the genes investigated in this review (herbicide tolerance via the EPSPS gene and insect resistance via the cry1Ab or cry3Bb1 genes). Forty-seven of these crops have been approved for animal and/or human consumption, yet published toxicity studies could be found for only nine of these crops (19%) ( Table 1). Of greater concern is that for eight of these crops, publications appeared after the crop had been approved for human and/or animal consumption. We understand that other studies may exist that are commercial in confidence, but these studies are not accessible to the scientific community. Other than the few studies mentioned in the EFSA reports, where histopathological results were not reported, our review of the published literature wasn’t able to identify or locate any reported safety evaluations performed on rats on these eight crops prior to their approval. Our literature review also did not identify or locate published reports on rats for the remaining 38 crops. The present review limited the search to only include feeding studies done on rats so that the results may be comparable. It is possible that more studies may be found if the search were to be extended to other animals. However, based on what has been found for rat studies, it is unlikely that any additional studies would involve a thorough safety investigation and a detailed report of all of the 47 approved GM crops possessing one or more of the three traits. Moreover, the rat model is the accepted OECD standard for toxicological studies of this type. The evidence reviewed here demonstrates an incomplete picture regarding the toxicity (and safety) of GM crops consumed by humans and animals. The majority of studies reviewed lacked a unified approach and transparency in their methodology and results, making it impossible to properly review or repeat these studies. Furthermore, such lack of detail makes it difficult to generate evidence-based guidelines to aid in the delivery of an optimum safety assessment process for GM crops for animal and human consumption. When considering how a better risk assessment could be done, it is important to consider systems established for other novel substances that may generate unintended effects. For example, the registration of pharmaceutical products requires an examination of both benefits and risks associated with their use and a complete assessment of those benefits and risks to establish whether the products are appropriate for general use at a range of doses. We argue that each GM crop should be assessed using similar methods, where a GM crop is tested in the form and at the rates it will be consumed by animals and people. Beta-carotene enhanced GM rice, the “golden” child of biotech, is now hampered by a fudged study under ethics scrutiny. A GMO study conducted in China, but funded by the USDA, tested unapproved “Golden Rice” on children without authorization, creating serious violations of ethics rules. Tufts University researchers admitted that their lead scientist, Guangwen Tang, had broken the rules of disclosure in tests on human subjects, but maintain that their August 2012 study titled “β-Carotene in “Golden Rice” is as good as β-carotene in oil at providing vitamin A to children” remains valid. Greenpeace China blew the whistle on what it called a scandal over a “potentially dangerous product.” Not properly informing the parents of the children used in the study constitutes a clear and serious ethics violations, the organization indicated. The larger Greenpeace organization has played a long-term role in opposing the approval and use of “Golden Rice” to fight disease in the developing world. They and other opponents have long argued that “tried and true” methods of treating Vitamin A deficiency render the biotech “solution” irrelevant and unnecessary. Nature.com highlighted an investigation conducted by CCTV in China, who aired a special documentary program on the ‘scandal.’ Emails turned up by reporters showed that a Chinese CDC official hid mention of the fact that the Golden Rice was genetically modified, claiming that it was dropped because it was ‘too sensitive’ to discuss with the parents of the children being fed GMOs in the study. Many parents have since “demanded a guarantee that the rice will not affect their children’s health” as well as compensation money for the ethics breach. “If it’s safe, why did they need to deceive us into this?” a parent angrily asked China’s CCTV in their exposé. 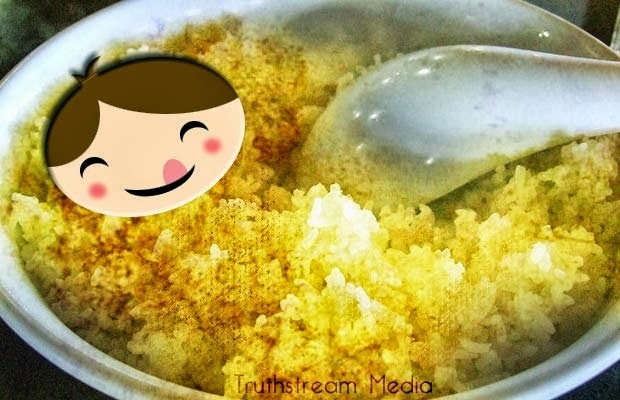 There were further issued raised about how often the children in the study were actually fed the “Golden Rice,” with inquiries revealing that the children may have only eaten the rice ONCE during the study rather than daily over the course of three weeks. Critics note that discrepancies remain over the full details of the trial. For instance, the CDC’s investigation revealed that the children ate Golden Rice just once during the study — and not lunch every day during the three-week study as the paper states. Along with Tang’s research conducted at the Hunan Province Center for Disease Control and Prevention in China was additional research provided by the Carotenoids & Health Laboratory, USDA Human Nutrition Research Center on Aging at Tufts University in Boston. Golden Rice has been a hot-button issue in genetically-modified politics for decades now. Proponents blame GM opponents for delaying its approval, and outlandishly claiming that they have cost lives, building upon the long-standing claims that “Golden Rice” could save a million lives per year, prevent blindness (and other related pro-GM puffery). Slate accused anti-GMO activists of lying to get their way, reporting that groups behind the destruction of a trial GM rice field had falsely claimed farmers in the Philippines were behind the sabotage. Biotech watchdogs like GM Watch, on the other hand, have long claimed that the benefits are less than shimmering, and that instead its real significance is in expanding the reach of GM agriculture – and companies like Syngenta who push it – in the developing world. Since 2001, activist Michael Pollan, Greenpeace and others have shown that the concentration of beta-carotene is not enough to make a ‘life saving’ or disease preventing difference – a problem worsened by the fact that cooking the rice reduces the Vitamin A content by 50%. GM Watch explained how “Golden Rice” co-inventor Ingo Potrykus acknowledged back in 2001 that Greenpeace’s argument concerning the ineffective concentrations of beta-carotene in the rice amounted to a valid concern and notable flaw. The current levels of beta-carotene produced by the heavy water “Golden Rice” would require children to eat between 100-150 grams of rice per day (or about 1/2-3/4 of a cup of cooked rice) in order to achieve 60% of the recommended daily allowance. Yet more than a decade after industry proponents tried to knock environmental watchdogs for their critique and delay of “Golden Rice,” researchers are caught fudging their data and failing to properly inform the parents of the children used in the study that the product was even genetically modified. If the benefits for the world are so profound, why is there so much to hide? Many studies over the past decade have pointed to pesticides as a potential cause of Parkinson’s disease, a neurodegenerative condition that impairs motor function and afflicts a million Americans. Yet scientists have not had a good idea of how these chemicals harm the brain. A recent study suggests a possible answer: pesticides may inhibit a biochemical pathway that normally protects dopaminergic neurons, the brain cells selectively attacked by the disease. Preliminary research also indicates that this pathway plays a role in Parkinson’s even when pesticides are not involved, providing an exciting new target for drug development. Past studies have shown that a pesticide called benomyl, which lingers in the environment despite having been banned in the U.S. in 2001 because of health concerns, inhibits the chemical activity of aldehyde dehydrogenase (ALDH) in the liver. Researchers at the University of California, Los Angeles, U.C. Berkeley, the California Institute of Technology and the Greater Los Angeles Veterans Affairs Medical Center wondered whether the pesticide might also affect levels of ALDH in the brain. ALDH’s job is to break down DOPAL, a naturally forming toxic chemical, rendering it harmless. To find out, the researchers exposed different types of human brain cells—and, later, whole zebra fish—to benomyl. They found that it “killed almost half of the dopamine neurons while leaving all other neurons tested intact,” according to lead author and U.C.L.A. neurologist Jeff Bronstein. When they zeroed in on the affected cells, they confirmed that the benomyl was indeed inhibiting the activity of ALDH, which in turn spurred the toxic accumulation of DOPAL. Interestingly, when the scientists lowered DOPAL levels using a different technique, benomyl did not harm the dopamine neurons, a finding that suggests that the pesticide kills these neurons specifically because it allows DOPAL to build up. Because other pesticides also inhibit ALDH activity, Bronstein speculates that this pathway could help explain the link between Parkinson’s and pesticides in general. 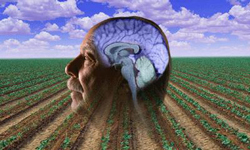 What is more, research has identified high DOPAL activity in the brain of Parkinson’s patients who have not been highly exposed to pesticides, so it is possible that this biochemical cascade is involved in the disease process regardless of its cause. If that is true, then drugs that block or clear DOPAL from the brain could prove to be promising treatments for Parkinson’s. Thanks to the biotech industry’s relentless quest to control our food, McDonald’s, Burger King and even school cafeterias will soon be able to serve up apples that won’t turn brown when they’re sliced or bitten into. A new, almost entirely untested genetic modification technology, called RNA interference, or double strand RNA (dsRNA), is responsible for this new food miracle. Scientists warn that this genetic manipulation poses health risks, as the manipulated RNA gets into our digestive systems and bloodstreams. The biotech industry claims otherwise. Of course, like any non-organic apple, the new GMO Arctic® Apple will be drenched in toxic pesticide residues, untested by the U.S. Food & Drug Association (FDA) and likely unlabeled. And of course these shiny new high-tech apples will be cheap, priced considerably lower than a pesticide-free, nutrient-dense, old-fashioned organic apple that turns a little brown after you slice it up. When the Biotech Industry Organization gathers next week in Chicago for the 2013 BIO International Convention, BIOTECanada will present its “Gold Leaf Award for Early Stage Agriculture” to Okanagan Specialty Fruits, Inc. (OSF), purveyor of the Arctic® Apple, slated for approval in the U.S. this year. We hate to upset the biotech apple cart, but a pesticide-intensive GMO apple, produced through a risky manipulation of RNA, doesn’t deserve a place on our grocery shelves, much less in the agriculture hall of fame. That said, the Arctic “Frankenapple” is expected to be approved this year by the U.S. Department of Agriculture (USDA), responsible for protecting agriculture from pests and diseases. It does not require approval by the FDA, which is responsible for human food and animal feed. Given the grim report card of non-organic apples, some might say it really doesn’t make any difference if we start tinkering with the apple’s genetic RNA. 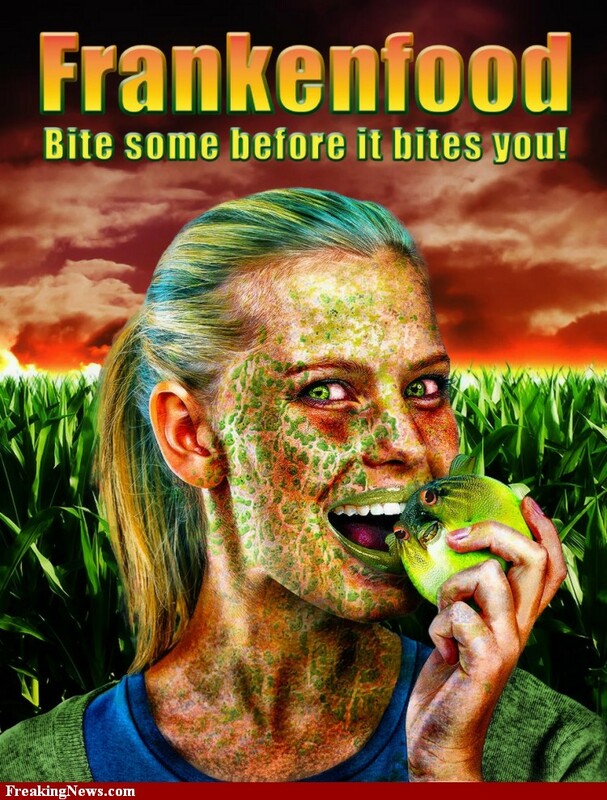 After all, unlike the case with GMO corn or salmon, scientists aren’t injecting pesticides or genes from foreign plants or animals into the genes of apples to create the Frankenapple. While most existing genetically engineered plants are designed to make new proteins, the Arctic Apple is engineered to produce a form of genetic information called double-stranded RNA (dsRNA). The new dsRNA alters the way genes are expressed. The result, in the Arctic Apple’s case, is a new double strand of RNA that genetically “silences” the apple’s ability to produce polyphenol oxidase, an enzyme that causes the apple to turn brown when it’s exposed to oxygen. Harmless? The biotech industry, OSF and some scientists say yes. But others, including Professor Jack Heinemann (University of Canterbury, New Zealand), Sarah Agapito-Tenfen (from Santa Catarina University in Brazil) and Judy Carman (Flinders University in South Australia), say that dsRNA manipulation is untested, and therefore inherently risky. Recent research has shown that dsRNAs can transfer from plants to humans and other animals through food. The biotech industry has always claimed that genetically engineered DNA or RNA is destroyed by human digestion, eliminating the danger of these mutant organisms damaging human genes or human health. But many biotech scientists say otherwise. They point to evidence that the manipulated RNA finds its way into our digestive systems and bloodstreams, potentially damaging or silencing vital human genes. There are indirect health consequences, too. Turns out the chemical compound that is shut off in the engineered fruit through RNA manipulation, in order to make it not oxidize or brown, is a chemical compound that also fights off plant pests. What happens when the apple’s ability to fend off insects is compromised? Growers will need to spray greater amounts, of possibly even more toxic pesticides, on a crop already saturated with at least 42 types of pesticides. Those pesticides will eventually find their way into our bodies, either because we ingested the fruit, or breathed the air or drank the water where the pesticides were sprayed. So what’s the trade-off? Non-organic apple growers will prosper as more moms buy more apples for more kids who will, the industry alleges, be the healthier for it. It makes for a good public relations story, but no matter how you wrap it up or slice it, taking apples that are already saturated in pesticides, and genetically engineering them for purely cosmetic purposes, does not a healthy snack make. The pro- and anti-GMO movements will debate whether or not the GMO apple is safe for human consumption. The fact is, we’ll never know until they are properly labeled and safety-tested. As with every other GMO food ingredient or product sold in the U.S., the Arctic Apple will undergo no independent safety testing by the FDA or the USDA. Instead, the USDA will rely on OSF’s word that the apple is safe for human consumption. And without any state or federal mandatory GMO labeling laws in place, OSF will not be required to label its Frankenapple, meaning that consumers or children harmed by the dsRNA modified apple will have great difficulty identifying the mutant RNA that harmed them. The controversy and debate surrounding dsRNA and the Arctic Apple has just begun. But there is no longer any debate about the dangers that pesticides and pesticide residues on non-organic apples pose to humans, whether we directly ingest these toxic residues by eating an apple, or whether we’re exposed to them through contaminated air and groundwater as a result of acres of orchards being sprayed to control increasingly resistant insects and diseases. What about the argument that a kid eating a few slices of apples can’t consume enough of any one of these pesticides to cause any real risk to their health? Debunked. Recent studies reveal that during apple season, kids exhibit spikes in the level of pesticides found in their urine, spikes that exceed the U.S. government’s “safe levels.” Kids who live in apple-growing regions show even higher spikes. And those 42 varieties of pesticides? The government establishes “safe levels” for each one – but it doesn’t test for the potential effect of ingesting 42 different pesticides, all chemically interacting with each other, and ingested all at once. Today, you’d have to visit the apple orchard museum in Geneva, New York, to find all the varieties of apples that used to thrive in the wild. Over time, in our quest to control the taste, texture and appearance of apples, we’ve eliminated all but a relative few varieties. We’ve gone too far, says Pollan. By relying on too few genes for too long, the apple has lost its ability to get along on its own, outdoors. Enter the agro-chemical companies. According to the National Agricultural Statistics Service (NASS) Agricultural Chemical Use Program, apple growers in states surveyed in 2011 applied carbaryl to 46 percent of their acreage, at an average rate of 1.566 pounds per acre for the crop year; chlorantraniliprole to 45 percent; and chlorpyrifos to 44 percent. Apple growers applied glyphosate isopropylamine salt to 25 percent of acres at an average of 1.604 pounds per acre for the crop year. And that’s just the tip of the iceberg. The Arctic Apple has been in development for over a decade, the company says. OSF submitted a petition for deregulation to the USDA in May 2010. The USDA, which must hold two public comment periods, concluded the first on Sept. 11, 2011. It’s expected to open the second public comment period this spring or summer, and OSF hopes the GMO apple will be approved for growing and selling in the U.S. this year. The Organic Consumers Association will hold a press conference and set up a picket line at the Biotechnology Industry Organization Convention in Chicago, at Noon on April 23, to protest OSF’s GMO apple. Why is a Known Toxic Substance Allowed in Organic Foods? We’re taught that if a food has a USDA organic label, then the produce is just about as good as it comes—that the ingredients have been through rigorous testing and are safe for human consumption, or at the very least the product is free from harmful pesticides and genetic engineering. While the USDA certified organic is indeed the way to go, not everything approved under their standards is good for you. On the contrary, some may be very harmful. Such is the case with a substance known as carrageenan. Carrageenan is a substance extracted from seaweed. In food, they are used as gelling and thickening agents, most often in dairy and meat products. You’ll find it in ice cream, cream, desserts, some beers, diet soda, veggie dogs, and processed meats. And although some organic food companies (Eden Foods, Oikos yogurt, Natural by Nature, and more) have sworn off the ingredient, others intend to play on the ignorance of the public and their friends in high places to keep carrageenan around. In numerous animal studies carrageenan has been found to cause gastrointestinal issues and inflammation, and cancer. In addition, diets high in carrageenan have been linked to the development of intestinal ulcers and other digestive issues. The Cornucopia Institute (a nonprofit which supports food research and “justice for family scale farming”) recommends anyone with inflammatory digestive issues like chronic diarrhea, IBS, or inflammatory bowel disease, to eliminate carrageenan from their diet altogether. Interestingly, the USDA is aware of the studies of this popular food ingredient, though it maintains a spot on their “safe” list. Why is that? Well, let’s look at who is approving the foods on this list. As revealed in The Organic Watergate – White Paper from The Cornucopia Institute, the National Organic Standards Board (NOSB) is made up of several companies who have a vested interest in keeping organics as non-organic as possible. After all, making stricter organic regulations would cost them money. It’s sort of like creating a board to oversee allegations of police brutality and then staffing the board with cops. (Another highly questionable though common occurrence). So, back to the original question: why is a known carcinogen present in organic foods? Because of money—those who have it also have power and do not want to sacrifice either for the sake of consumer health. Author LissPosted on April 13, 2013 January 1, 2018 Tags carcinog, carrageenan, degraded carrageenan is an inflammatory agent, soft kill, toxic food supply1 Comment on Why is a Known Toxic Substance Allowed in Organic Foods?